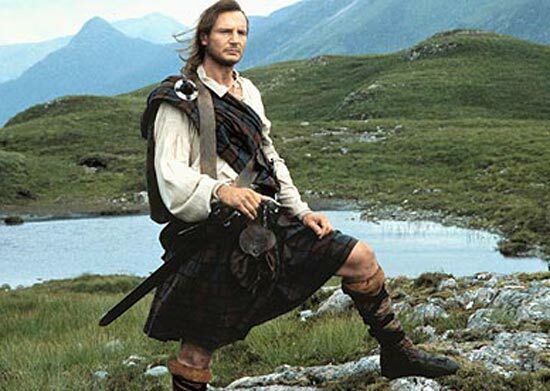 Rob Roy MacGregor (Liam Neeson) is the head of a clan in 1712, Scotland, living in idyllic happiness with his wife, Mary (Jessica Lange) and their sons. But he is at the whim of the powerful classes, most notably English Lord Montrose (John Hurt), his manservant Killearn (Brian Cox) and the evil Cunningham (Tim Roth). MacGregor needs to find a way to retain his honour in the face of adversity. It came out in 1995, the same year as Braveheart, and there are clearly a lot of similarities. I love it, even though I question the lack of Scottish actors (especially with a few of the very dodgy accents), though certainly the main cast is extremely strong and drive the story. Revisiting this was extremely interesting, and what I noted the most was the extremely strong script – often, entire conversations, entire moods and conflicts were summed with one perfect line. Wonderful. I am unsure on the historical accuracy, but it is a fantastic film. Rob Roy was nominated for an Oscar for Best Actor in a Supporting Role (Tim Roth).